So all the teams pay a total of $16 million in entry fees. But the revenue sharing in 2017 was a distribution of $940 million back to the teams. When you look at it that way, the entry fee is just a sneeze. Haas was paid the least in 2017, but even they got paid $19 million. So their entry fee of $758,000 only a small part of their budget..
^ Puts it into a bit of perspective that way. In a bid to make F1 power units even more reliable – and further reduce costs – this season each driver must make do with just three engines for the 21-race campaign. That compares with four engines last year (when, incidentally, the calendar featured one less Grand Prix). Excellent article in Forbes on how Toto Wolff made his fortune and also got into racing. I like Wolff, very frank and sincere when he talks. Not afraid to speak his mind when it conflicts with FIA or others and a cute wife who used to race. Great piece. Thx for sharing! Ferrari signs Kvyat as its development driver, although probably confined to simulator work. I wonder what Vettel will think about this. 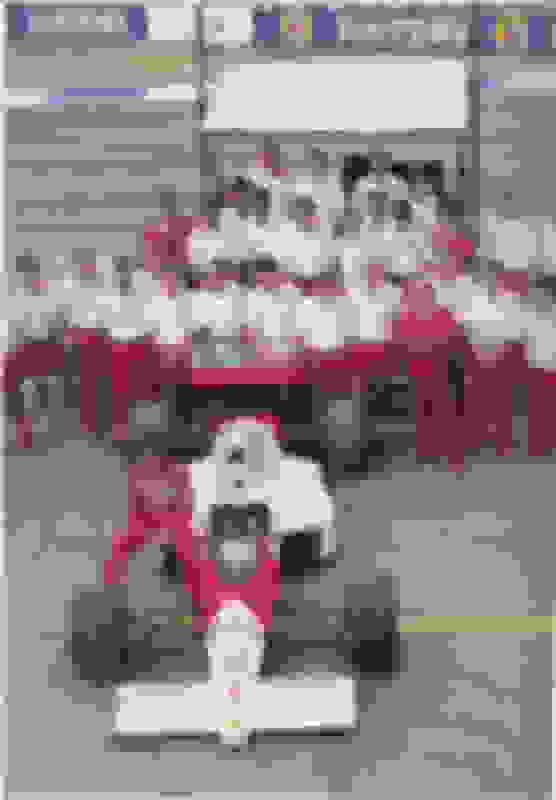 Last edited by Legend2TL; 01-10-2018 at 11:49 AM. "Quit crashing my simulated car you stupid Russian!! CRASH, I'm out!!" Formula One chairman Chase Carey has backed potential plans to hold the first Danish Grand Prix in 2020. Carey travelled to Copenhagen on Wednesday to meet with the city's mayor, Frank Jensen, and Denmark's business minister to discuss the proposal. 'We're excited about the opportunity to explore a potential race here in Denmark,' Carey said. The 4.6 kilometre route through the old city centre would see an estimated 107,000 spectators seated. Liberty Media, Formula One’s new American owners, announced big plans to reshape the sport's calendar during an interview in 2016. Plans include adding new locations and the Americans are targeting new venues in key markets, including Asia and the United States. But Scandinavia is also an attractive option for the owners with Haas' Danish driver Kevin Magnussen a perfect marketing device. 'Scandinavia has been a great part of our sport and having local drivers is always a plus,' Carey added. The potential budget discussed was 300-500m Danish krone (£35.7m-£59.5m) a year, while the expected income from spectators including tickets is 1-2bn Danish krone (£119m-£238m). A big factor in Liberty Media's desire to assess new locations includes the focus on improving the broadcasting experience for fans. Along with Copenhagen, races in Miami, Florida, and Vietnam have been discussed. Carey believes that the bridges and water in Copenhagen would provide great television pictures. If plans were confirmed it would be the first race to be held in Scandinavia since the Swedish Grand Prix was taken off the calendar following the 1978 season. Swedish pair Ronnie Peterson and Gunnar Nilsson both died during that season - Peterson suffered a fatal crash on the first lap at Monza while Nilsson died aged 29 from cancer. Formula 1 fans have been told to expect an all-new experience in how the championship is televised this year, as Liberty Media starts putting in place its action plan. F1's commercial chief Sean Bratches met with teams prior to the Christmas break to run through ideas for the 2018 season. In a guest blog on the James Allen on F1 site, McLaren executive director Zak Brown said he was excited by what Liberty had proposed for F1 TV. "Before Christmas Sean Bratches presented the new F1 commercial strategy to us, the teams," explained Brown. "You'll see significant changes there on the broadcast, on the graphics and the storytelling. "Then on-event we'll see more fan engagement, building on last year and there will be new media properties to help fans get closer to the teams. "I think the big impacts of 2018 will be on the media side, showing F1 in a way that it's never been shown before. It will give us a younger and bigger audience and they will be more engaged." While welcoming Liberty's push to improve things for fans, Brown also predicted "fireworks" in its negotiations with teams about F1's future. There has already been unease from Ferrari, Mercedes and Renault about next-generation engine rules, plus concerns about a drop in commercial rights income. Brown added: "The honeymoon period is over. Some senior team executives have been openly critical of Liberty. I prefer we're constructive. "They've only really had their feet under the desk for the last six to 12 months having inherited a sport previously operated pretty uniquely. "They've had to put infrastructure in place, learn the environment and prioritise where to invest - all at the same time. "There will be some big negotiations going on through 2018 with the teams on contract renewal and I predict that there will be public fireworks; we are already starting to see that. "I do not think it's going to be quiet. Will Ferrari really leave if they don't like the new rules? I have my opinion but we'll see how this plays out." Hopefully we can watch a race all the way through with no commercials full screen. That is the change I want to see. I would even pay for it if streaming worked on something like roku/chromecast/firetv. That'd be great, mini-PiP with the commercials. Not sure why NBCSN only did that for about 1/2 the commercials. I like the mini commercials Fox has been doing for football lately. The game is actually the same size or sometimes a little bigger than the commercial actually. They are also only 30second commercials as well. I would rather a few more commercials that way if they are only 30seconds than commercials missing the race for a period of time. That's an underwhelming signing. Does Williams actually want to improve? 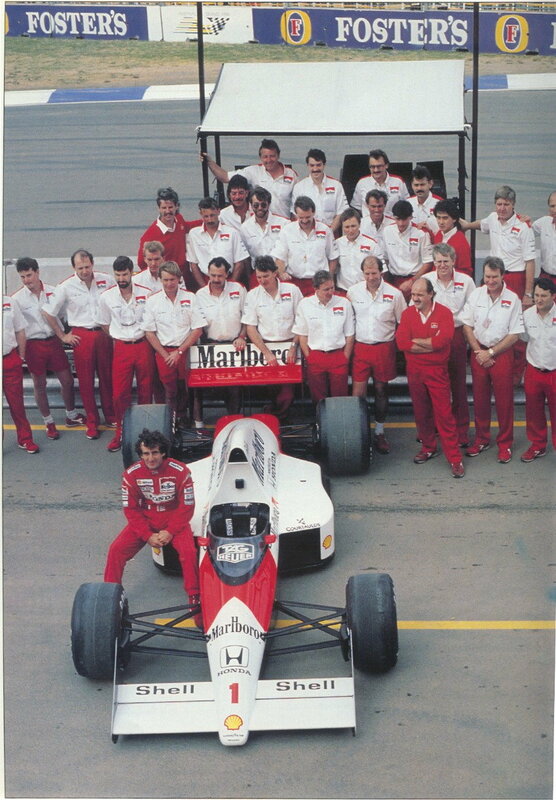 ^ As Cyndi Lauper says "Money Changes Everything"
Pretty cool pic of Prost and McLaren team (with the "1" on the car I'm assuming it was late 1989, probably at the Australian GP). I'm really surprised Ron Dennis is in the pic as he protested Senna's disqualification in Japan, and wanted Senna to win since Prost was leaving for Ferrari. Last edited by Legend2TL; 01-17-2018 at 08:09 AM. Very dissapointed at this. I think Kubica was more than likely faster but the Sirotkin money won out. Didn't think Williams had resorted to to having two pay drivers. Williams’s newest driver has some practice and test experience but is still a rookie. His record in the junior championships is decent (he’s no Sean Gelael) but not exceptional (he’s no Charles Leclerc). But Sirotkin brings significant financial backing from Russian bank SMP. The logos of their driver development programme SMP Racing have been prominent on Sirotkin’s overalls and cars throughout his career. 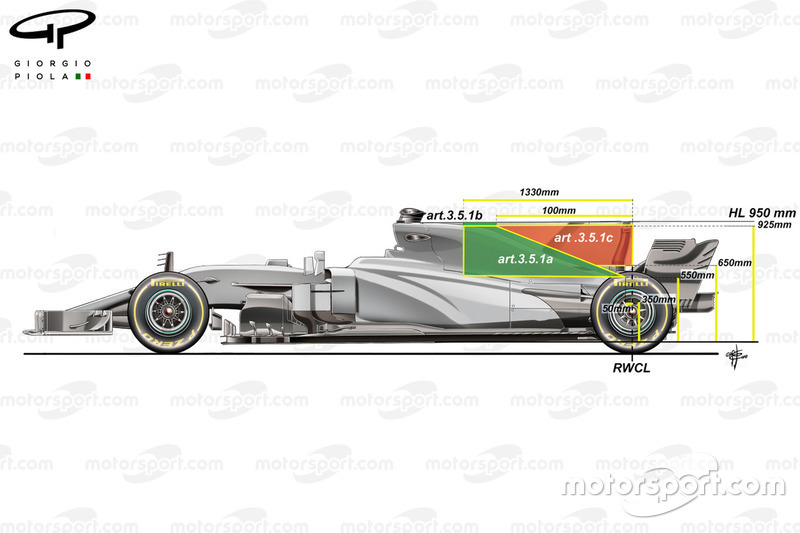 Williams certainly need the income and F1 Fanatic understands that proved decisive. Chief technical officer Paddy Lowe, who became a shareholder when he returned to the team last March, strongly favoured appointing Sirotkin, a move he expects will bring long-term benefits for the team. If by investing this new line of income from Sirotkin into car development Lowe can find a lap time gain on the FW41 – and, crucially, its successors – the decision to go with him instead of Kubica becomes clear. Williams has had F1’s best power unit for the past four seasons but has gradually declined in competitiveness. That indicates everything they can throw at the chassis would be money well spent. Besides which, the door isn’t closed to Kubica. He will continue to drive for the team in tests and practice sessions and Williams say he will “be available to stand in as the race driver if required”. Will such an opportunity arise? Those who’ve paid attention to the rising prominence of Russian drivers in motor sport will recall the problems which kept SMP-backed driver Mikhail Aleshin from his IndyCar seat for most of 2015. Following Russia’s annexation of Crimea the year before several prominent supporters of Russian president Vladimir Putin were subject to sanctions. They included SMP bank co-founder Boris Rotenberg. Williams is a listed company and its reporting obligations means Sirotkin’s link to Rotenberg will have been discussed and approved at board level. Note that while the US imposed sanctions on Boris Rotenberg the European Union did not (his brother did appear on the EU list), so in a similar case this would not necessarily affect Sirotkin’s position. Nonetheless, the team has a driver waiting in the wings if they need one. And, unlike when Paul di Resta took over Felipe Massa’s car at the Hungaroring last year, he will already be familiar with their current chassis. Passing up on the chance to bring Kubica back in favour of adding a second well-funded driver to their roster is not the fairytale story many hoped for. But Williams isn’t the first team to spend its money on the car rather than the driver. Having two pay drivers only moves the performance down, not up. Just look at Sauber. This will be a downward spiral. If Lance Stroll keeps improving and out drive Sirotkin, he'll be looking to move to a different team in 2019. Manor, a familiar name in dedicated motorsport circles, exited Formula 1 following the 2016 season. The team's reinvestment in endurance racing has kept its pedigree going, and with a recent decision to join LMP1 with Ginetta, it seems like the British-bred team will continue its interest in the WEC. However, as reports from Finland's Turun Sanumat newspaper tell, Manor could be interested in joining Formula 1 once again if some intended changes are made. 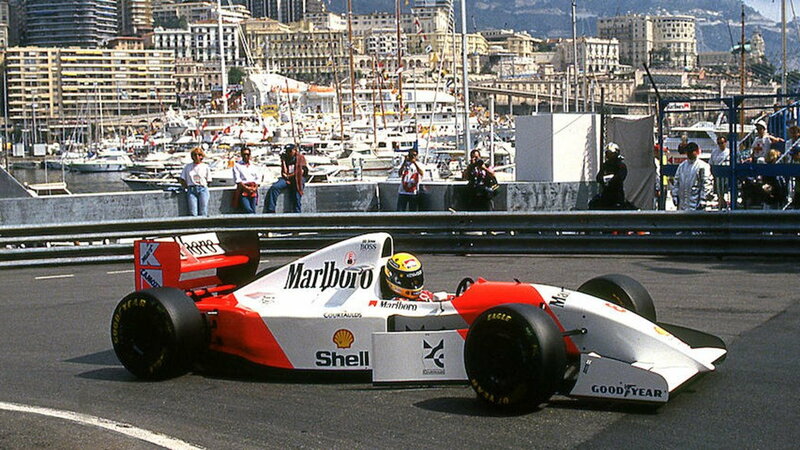 The major concern for any privateer team interested in Formula 1 is cost. This is something that reigns annually as the largest obstacle to becoming a successful competitor against the likes of big-spenders such as Ferrari, Mercedes, and Red Bull. This is something that's been addressed repeatedly by F1 owners Liberty Media, and now, the question stands if the organization will be able to combat these excruciating expenses. "If nothing changes—if there is no cost cap and the costs stay the same—then we cannot go back because it's impossible to race against the big teams. 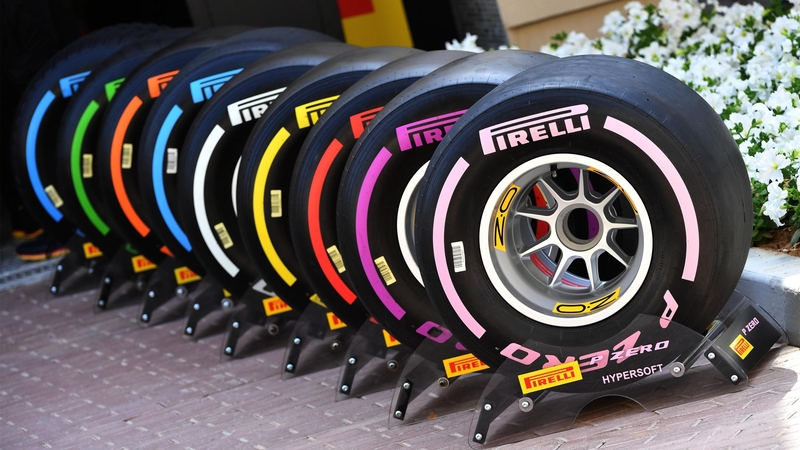 But we have heard from the FIA and Liberty (Media) that work is being done to reduce the cost for private teams. "In that case, we are interested in returning. Both myself and (former Manor team principal) John Booth have unfinished business in F1." Manor previously bowed out of the sport after a seven-year stint in Formula 1. Indeed, it was cost that forced the team away in 2017, but that was in a time when Bernie Ecclestone ruled the series. Now, with Liberty at the helm, potential changes like cheaper engines and standardized parts could draw more small teams into contention. Formula 1 teams are set to engage in a new design battleground over low T-wings in 2018, as part of their push to regain downforce lost at the rear of cars. A loophole in last year's technical regulations opened the door for teams to run high T-wings on the shark fin engine covers in a bid to improve performance. But their addition to the cars caused an outcry among fans and teams because they were ugly, and this led to an outright ban being introduced for this year. However, with F1 teams well aware of the benefits that the small wings delivered in terms of managing airflow and increasing downforce, it is almost certain that this concept will not have been ignored completely when it comes to finalising the 2018 challengers. As teams claw to recover the loss of downforce caused by the high T-wing ban, plus the outlawing of monkey seats, it is looking almost certain that T-wing development will open up in a new area of the car instead. That is because the wording of the 2018 regulations that outlawed shark fins and high T-wings still leaves room for another area to be exploited. 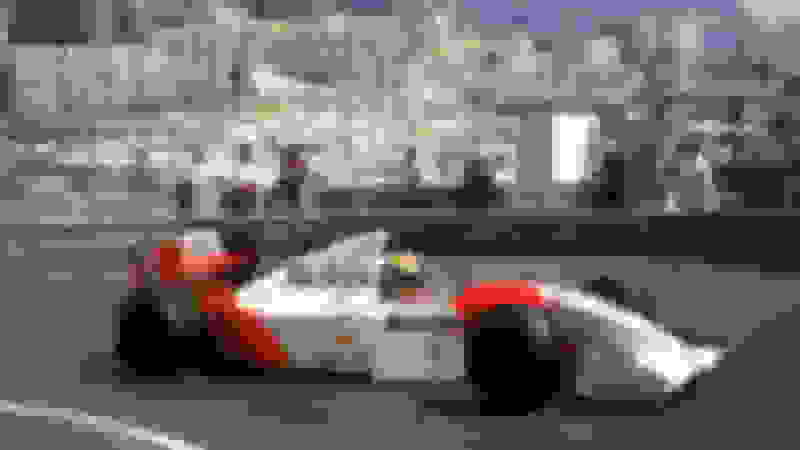 Article 3.5.1 of F1's technical regulations outlawed high T-wings by making it clear that no bodywork could appear in a specified triangular area above the defined engine cover. It stated: "When viewed from the side, no bodywork forward of the rear wheel centre line may lie above a line parallel to the diagonal boundary defined in a) [a rule that defines the dimension of the engine cover] and intersecting the rear wheel centre line 650mm above the reference plane." However, there remains a small area below this triangle that is still available for teams to exploit – and importantly this was exactly where Williams ran elaborate T-wing concepts last year. 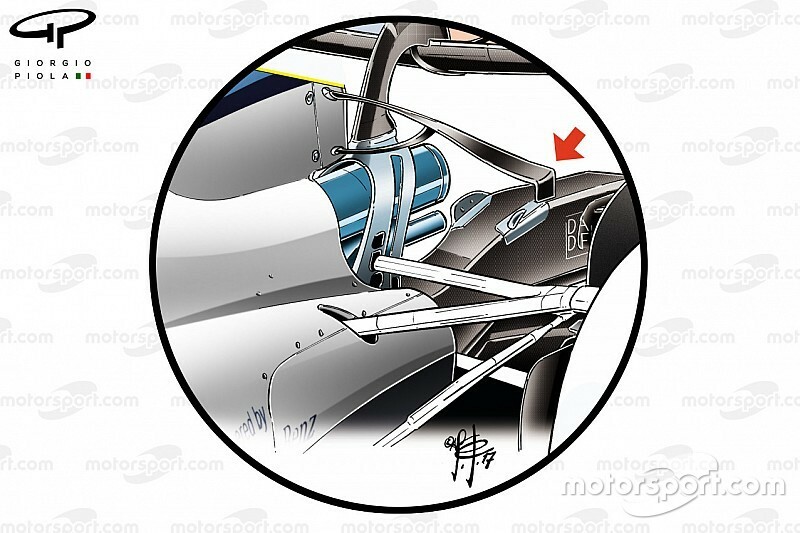 For as well as developing a high T-wing like other teams, the FW40 featured a second lower down T-wing element to help manage airflow in this area. As well as channelling air to the lower element of the rear wing, this airflow can also prove important in helping maximise the efficiency of the diffuser. F1 teams are expecting big gains in downforce this year thanks to a much better understanding of the performance aspects of the new aero rules that were introduced last year. McLaren technical director Tim Goss told Motorsport.com: "You would expect there to be a step, and given the cars are relatively immature, you would expect it to be a bigger step than in previous seasons." So beautiful. Much better then the 2018 monstrosity we are about to witness. I can't imagine feeling adversarial for Ricciardo. He's just so....bubbly? I thought it was a fair list, and perhaps Danny would have been 4th? ^^ they can't expect their multi-million dollar driver to drink that RB panther piss can they? what's the point of even watching anymore?